Great Start Collaborative – A great start for every child! 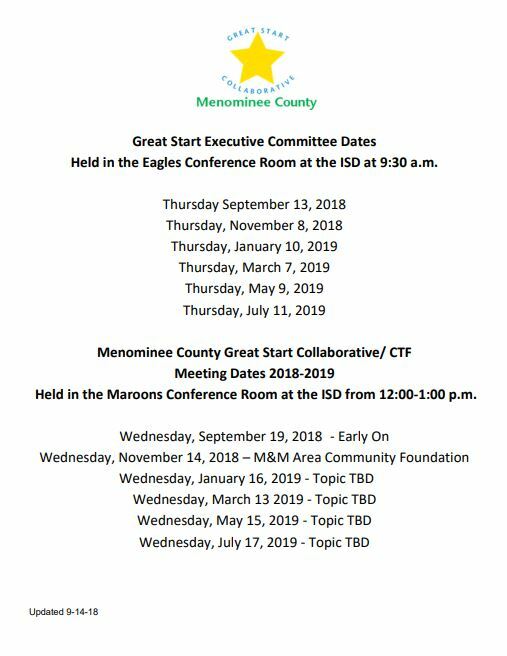 The Menominee County Great Start Collaborative focuses on improving programs and services that are available to Menominee County families who have children birth to age eight. We have been in existence since 2009. We have approximately 20 community members on our collaborative including parents who assist us in making great decisions in our plans for the future. 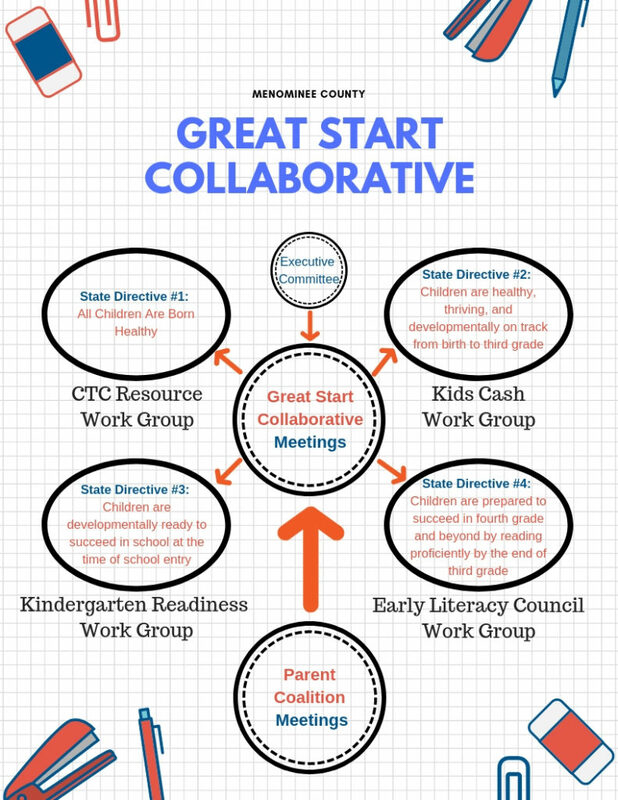 The Great Start Collaborative is a partnership of community leaders, health care professionals, human service agencies, charitable and faith-based organizations, educators and parents who are dedicated to establishing and maintaining a comprehensive early childhood system. 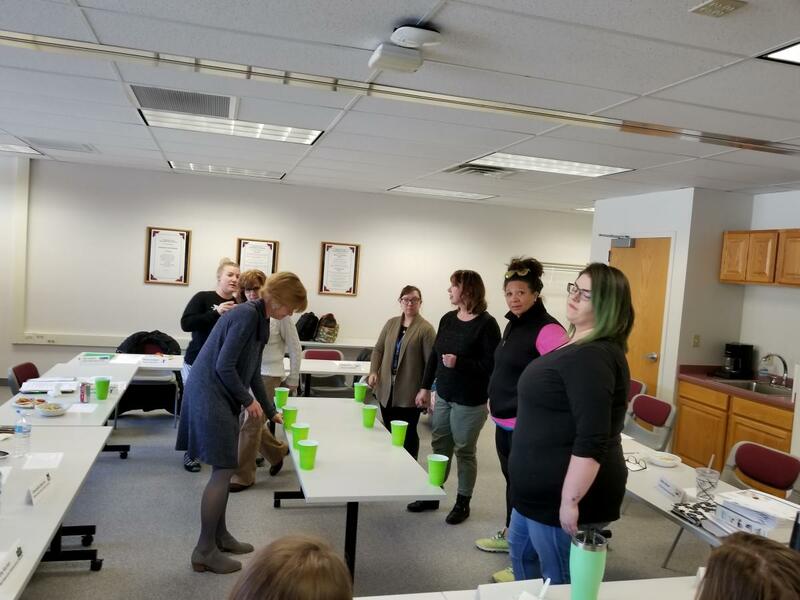 The goal of the Collaborative is to provide a network of support and resources in Menominee County for children and their families to help ensure children enter kindergarten ready and eager to learn. We would love to tell you more about us and are always looking for new members committed to helping us make Menominee County a better place for the children. Please call us at 906-863-5665 extension 1028 for more information.